"Ah, Miracle Mile. 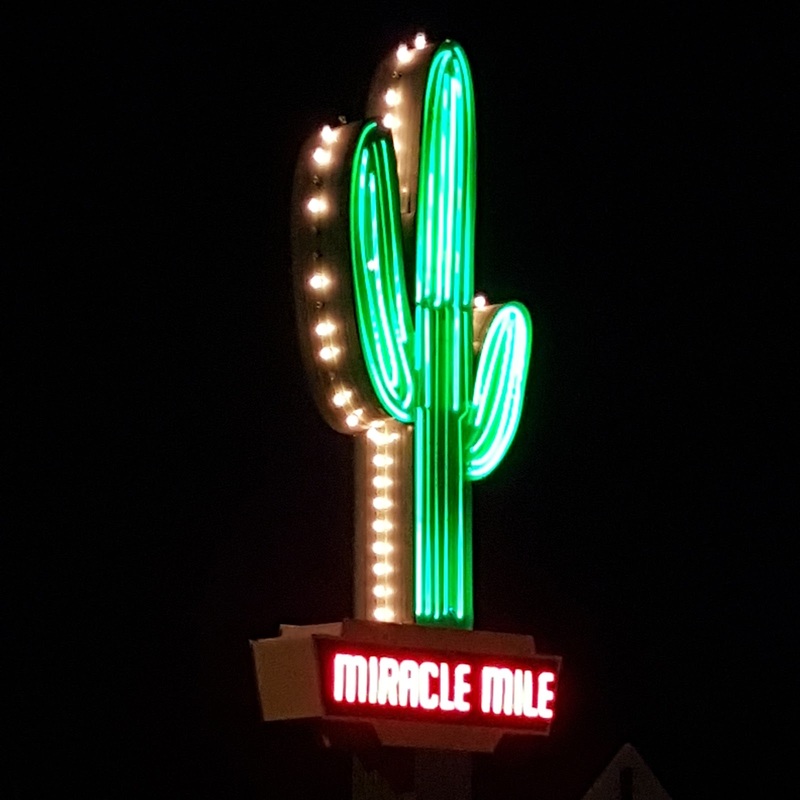 Once the scenic entrance into Tucson, it's been known for the past few decades as the seedy underbelly of Tucson." It's taken a while, but now it's on the National Register of Historic Places. Photo of the Gateway Saguaro (#8 on this list) by Ed.